Mr Hakeem Ogunniran is the Founder/CEO of Eximia Realty Co Ltd and Home4Me Nig Ltd, developers of the MaestroVille, Lekki, Lagos. 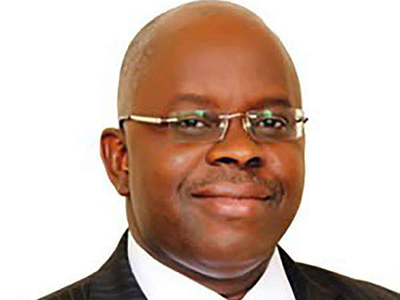 He was the Managing Director of UACN Property Development Co Plc – UPDC from 2010 – 2018. Before then, he was Managing Director of MDS Logistics (Division of UAC of Nigeria PLC)between 2000 and 2010. Prior to 2000, he was at various times a Law Lecturer, Company Secretary/Legal Adviser, Sales/Marketing Manager, Corporate Planning Manager, etc. He graduated from University of Lagos with LL.B (Hons) Second Class Honours (Upper Division) in 1984. He was called to the Nigerian Bar in 1985 after passing the Bar Examinations at the Nigerian Law School; also with a Second Class Honours (Upper Division). He later obtained the Masters of Law (LL.M) and MBA degrees from the University of Lagos. He is a fellow of the Institute of Chartered Secretaries and Administrators, London and Nigeria and member of the Chartered Institute of Arbitrators, UK. A former Fulbright Visiting Scholar at the Yale Law School, USA, he has attended several high level management training programmes including the Unilever(IMS), U.K, General Management Programme (GMP) of Ashridge Management College, U.K., Strategic Leadership Programme of Cranfield University, U.K., REAL Estate Management Program of Harvard Business School, USA and Senior Financial Management program of the London Business School. Mr Ogunniran is also a past President and Chairman of the Institute of Chartered Secretaries and Administrators of Nigeria, Council Member of the Lagos Chamber of Commerce & Industry and frequent speaker at international conferences including the Annual African Property Investment Summit in Johannesburg, South Africa. He was the Lead Speaker for Africa at the 1st International Conference on Corporate Governance at Shanghai in May, 2010. I’m the past 8 years, Mr Ogunniran has changed the narrative of the real estate industry, leading his team to deliver landmark and iconic projects in Lagos, Abuja, Port Harcourt, Ibadan and birthing projects in other cities including Asaba and Calabar. In the area of project funding, he led his company to float bonds, CPs and a DOT based Real Estate Investment Trust in 2013. He is a recipient of many awards including the Federal Government’s Scholarship for High Academic Standing (1981 – 1984), Fulbright Scholarship to Yale School, USA (1991/1992), Joint Best Individual Performance in Management Accounting in ICSA Final Examinations; Osun State Government of Nigeria’s Merit Award, 2007, ICSAN’s Special Award for Exemplary Service (2009); Kwame Nkrumah Award For Corporate Governance Excellence 2009, Distinguished Chartered Secretary of the Year, 2010; Association of Professional Bodies in Nigeria’s Award for Professional Excellence, 2011 and Global Home Nigeria Property Award’s Property CEO of the Year 2011,Real Estate Unite Person of the Year,2013, the Odua Business Ambassador Awards and named one of the top 20 CEOs of the Listed Companies on the Nigerian Stock Exchange for 2013. He is happily married to Dr Iyabode Ogunniran also a Lawyer and they are blessed with three lovely children.